Peter was just two years old when Flora, his mum, noticed that he wasn’t eating well. She thought nothing of it, but when he got a cold and became tired, it lasted two weeks - she thought he could be anaemic so asked for a blood test, which, confirmed that Peter had leukaemia. Peter was admitted to hospital in Oxford for treatment and Flora stayed with him and her husband took his twin brother, Thomas, home to Reading. 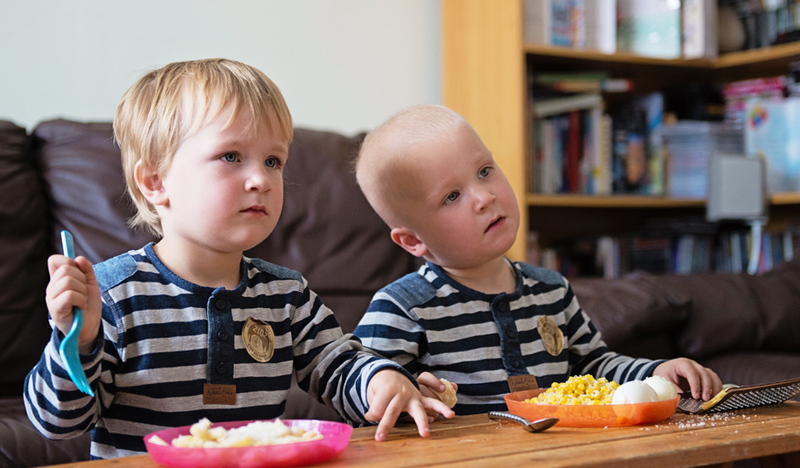 It was a very difficult time for all the family and seemed toughest on two-year-old Thomas, Peter’s twin brother. Peter was always with Flora as he felt so poorly and clung to her all day. Thomas had been used to having his twin with him and sharing the attention, but now he “… had to learn to be alone,” remembers Flora. The family was referred to Rainbow Trust and Flora was introduced to Jess, a Family Support Worker in our West London team. Jess would take Flora and the boys to hospital appointments and play with Thomas while Peter was in treatment. Peter’s clinginess means that Flora found it hard to do anything without him, so having Jess as a playmate helps her immensely. She can take a shower or do some chores, which gives her some semblance of normality in an otherwise chaotic situation. As with so many children going through treatment, it’s never smooth running and Peter has his fair share of hospital visits due to infections and spiked temperature. The family’s new Family Support Worker, Luci, has supported them through. Thomas has become very protective of his brother and looks out for Peter at school and watches over him making sure he is okay. These brave little boys have been through more than most adults go through in a lifetime but both continue to flourish. They love school and they love the challenge of learning new things. They love anything that moves, going to the park, riding their bicycles and scooters and when Peter had his treatment line taken out, he discovered his love for water and jumped in face first. Without the responsibility of having a line in, he could finally enjoy being in the water. Peter and Thomas will be six in August. Both little boys have been so brave and we wish them all the best in the future.